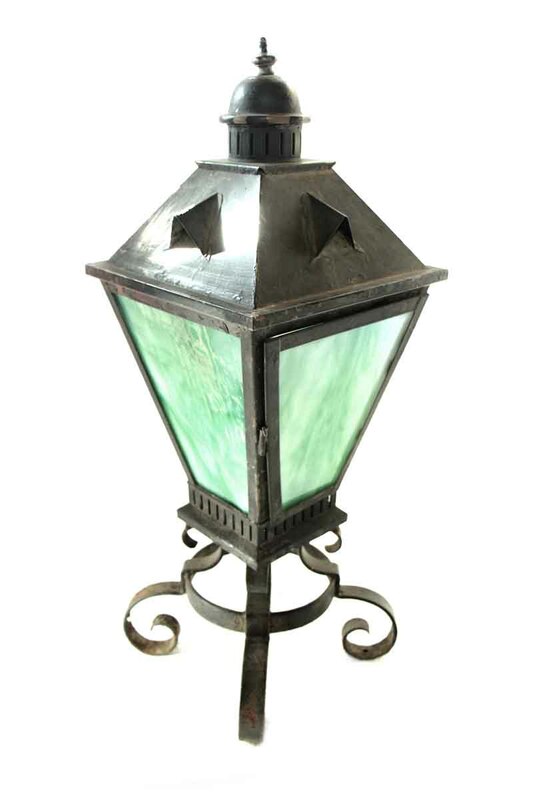 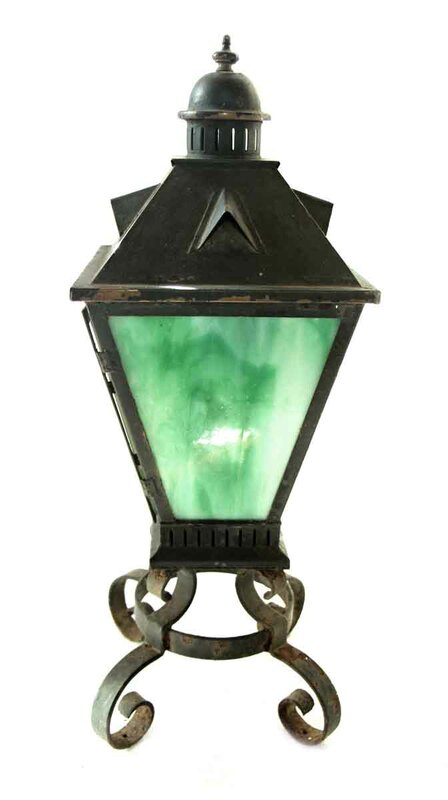 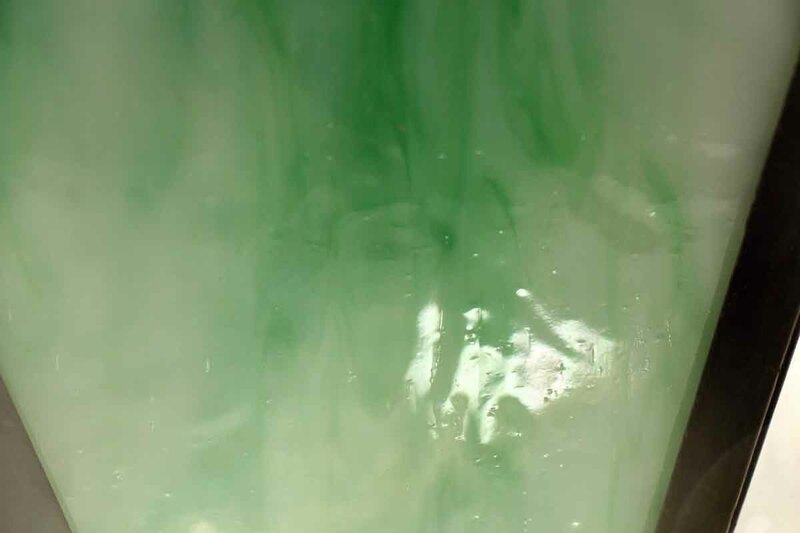 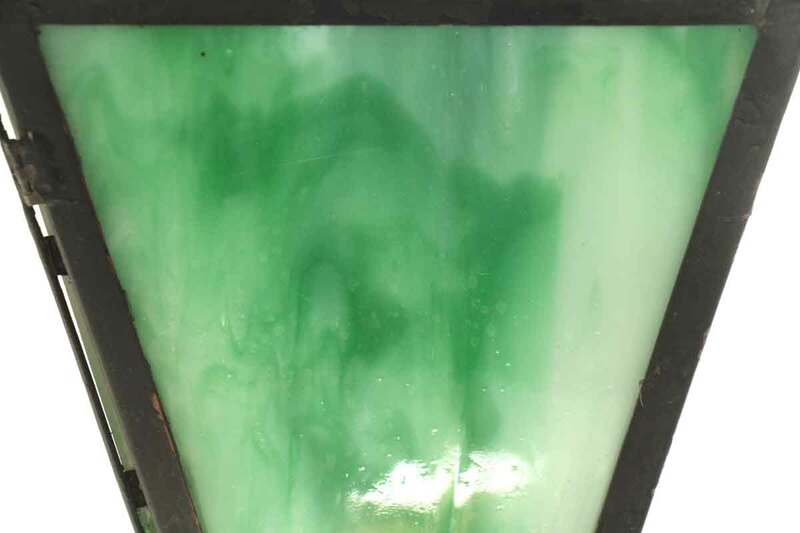 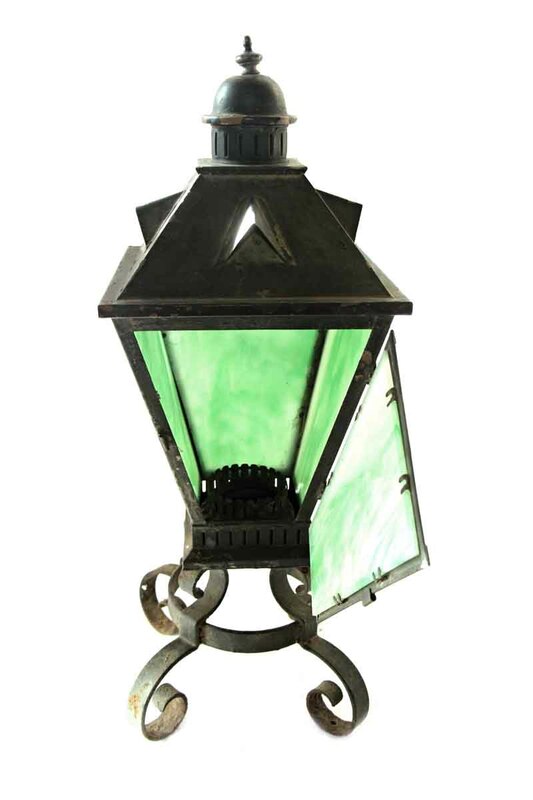 Old iron lantern placed on a wrought iron stand with vivid swirly green glass. 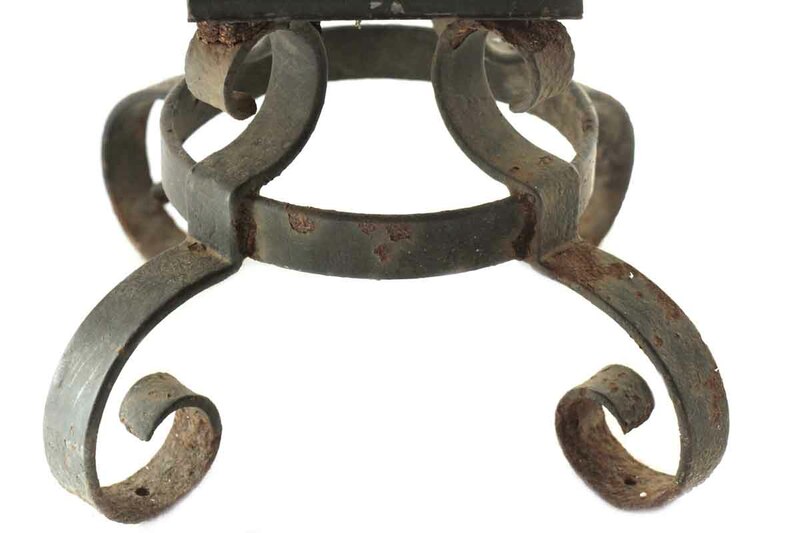 Pictured and priced as is. 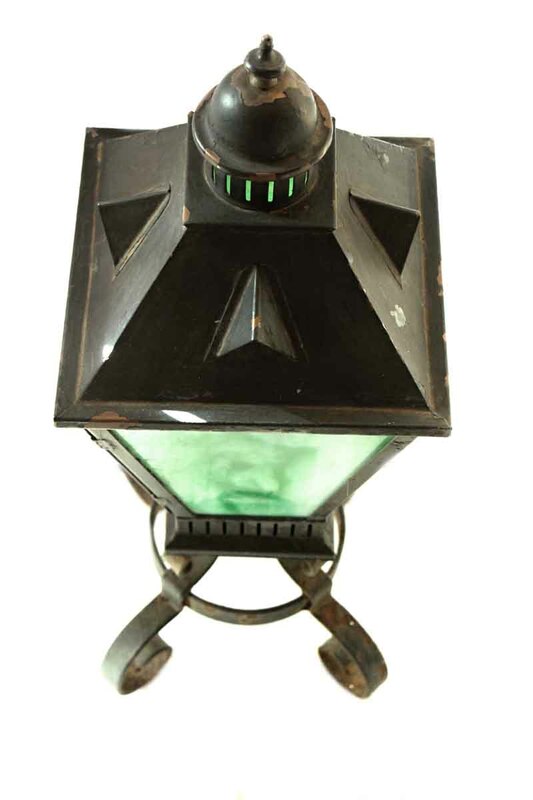 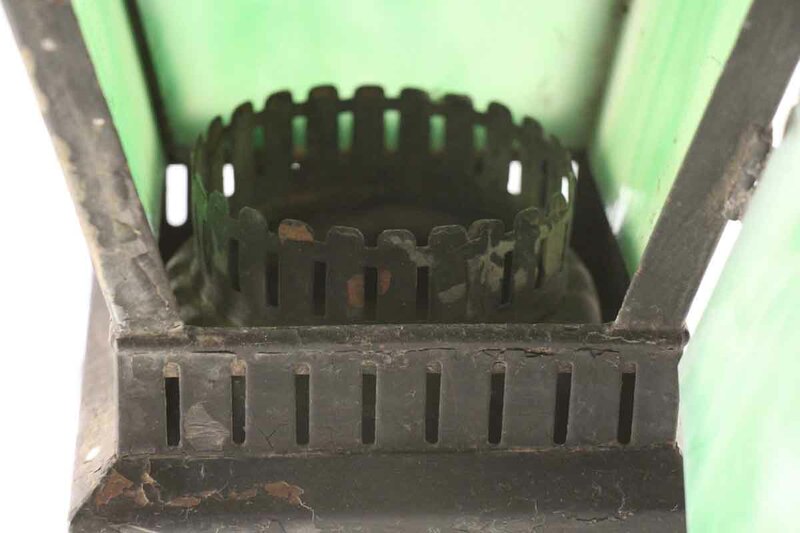 It is currently set up to receive a kerosine lantern (not included). 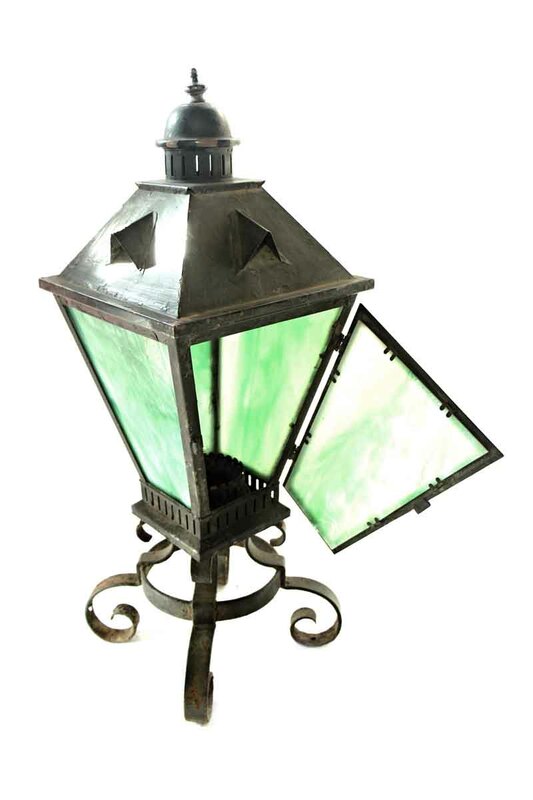 If you would like this piece refurbished and rewired please add $150 to the base price.